Myanmar’s secretive jade mines lie in the Kachin town of Hpakant, which is located in the northern part of the country. Hpakant, also known as “the land of jade”, produces the world’s highest quality of the stone, which the Chinese have prized during millennia for its beauty and symbolism. As an old Chinese saying runs – “Gold is valuable, but jade is priceless”. Everyday in Hpakant, hundreds of hundreds of young men who migrated from different regions of Myanmar with a dream to find a short-cut to wealth, swarm across mountains of mining waste dumped by mining companies. A massive landslide in November 2015 killed 114 people. ‘Shooting galleries’ operate openly in Hpakant with workers often exchanging lumps of jade for hits of heroine. Fierce access restrictions are currently in place to reduce public scrutiny of the industry’s biggest players, its rampant corruption and its horrific social cost. Lumps of the precious stone can represent a fortune for small-time prospectors, but rare finds by them pale next to the staggering wealth extracted from this billions-dollars industry by Myanmar’s military, the tycoons it helped enrich, and firms linked to China where most of the jades end up illegally. A recent report by Global Witness put the size of Myanmar’s jade industry at $31 billion in 2014, equating to nearly half of national GDP and over 46 times the nation’s spending on healthcare. “Myanmar’s jade business may be the biggest natural resource heist in modern history,” says Global Witness analyst Juman Kubba. My name is Minzayar Oo [b. 1988]. I am a Burmese photographer and visual storyteller based in my hometown Yangon. I am represented by Panos Pictures. In 2012, I left my medical career and started working as a photojournalist with Reuters until 2016 when joined Panos Pictures. Today I have been working for various international publications such as The New York Times, GEO Germany, Stern, while also developing in-depth longer-term documentary projects on certain critical issues. My work have been published on TIME, The New York Times, The Guardian, National Geographic, GEO, ParisMatch, La Repubblica, among others. I have covered untold stories in Myanmar such as the rarely-accessed Kachin jade mines or the Rohingya crisis since 2012 when the communal violence broke out in Rakhine. In 2017 while on a GEO assignment in Bangladesh to document the Rohingya exodus, I was arrested by the Bangladeshi authorities on initial suspicion of espionage but released later and all charges dropped. I have won awards at the Yangon Photo Festival, China International Press Photo, Foreign Correspondents Club Thailand, Days Japan International Photojournalism, Istanbul Photo Awards. My work The Price Of Jade was made a finalist in Magnum Photography Awards 2016 and also nominated for the Nannen Preis 2017. I was named the first photographer to receive the Martin Adler Prize at Rory Peck Awards in UK in 2017. 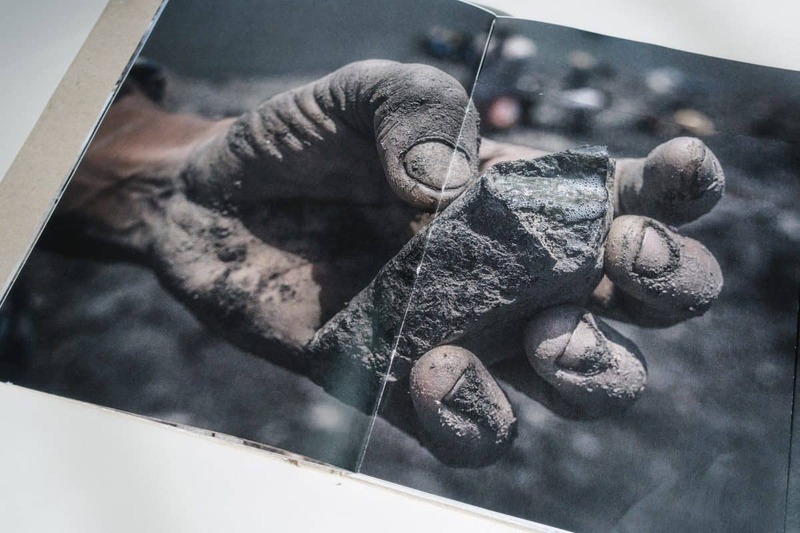 The True Cost of Burmese Jade, by Minzayar Oo [Myanmar] is a Photobook Award Finalist in the Invisible Photographer Asia Awards 2018. View more 2018 Awards Finalists.